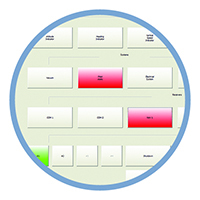 your control center for your Flight1Tech simulator. One of the most advanced instructor stations in the industry. Comes with every turn-key simulator. The Flight1 Aviation Technologies Enterprise G1000 Simulator is a turn-key professional training system designed for flight schools and universities. It features the industry’s most accurate G1000 simulation, aircraft-specific hardware, a precise flight model, and a highly realistic visual simulation. Pilots who train with the Flight1 Tech Enterprise G1000 Simulator can operate single-pilot IFR in high-workload and high-density environments with more confidence. Piper PA-28, Cirrus SR20/SR22/SR22T, Cessna 208 Caravan, and Cessna Mustang 510 variants are available now. Cessna 172, 182, 206, and other aircraft are in development. Pilots want real buttons, switches, and knobs. Touchscreen interfaces for the G1000’s physical controls may look cutting edge, but pilots find them awkward to use. Aircraft-specific hardware is important. Pilots don’t want generic cockpits—they want yokes/sidesticks, throttle/prop/mixture controls, and switches that look and feel just like what’s in the airplane. Advanced avionics features must be simulated - accurately. Incomplete G1000 simulations that don’t include features like WAAS approaches and VNAV don’t cut it in a training environment. Durability, reliability, and support matter. In a high-volume training environment, a single inoperative sim can cause a bottleneck that takes days, or even weeks, to recover from. 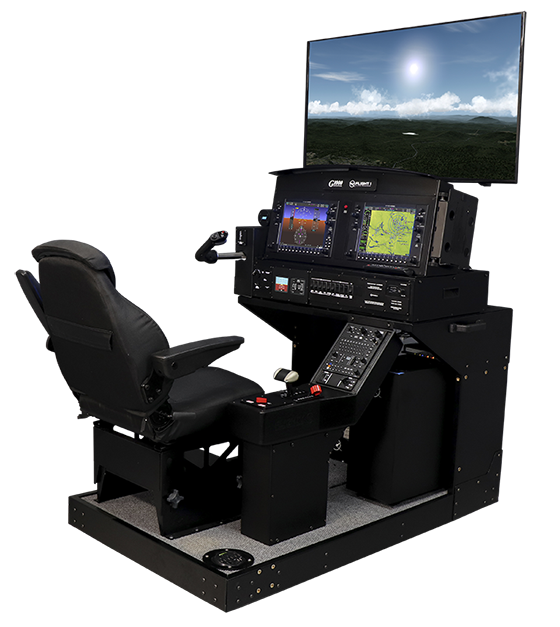 Each Enterprise G1000 Simulator features an aircraft-specific simulation of Garmin’s G1000. We use a proprietary software platform that replicates the G1000’s features and functionality with exacting detail. If it’s in the real G1000, it’s in the sim. Instead of being distracted by differences, students can train just like they fly, using features like synthetic terrain, charts, taxi charts, ADS-B, TAWS, VNAV, and WAAS. How closely does the Cirrus Enterprise G1000 Simulator match the real thing? Watch this video to see for yourself. The first thing you notice about any sim is the hardware. 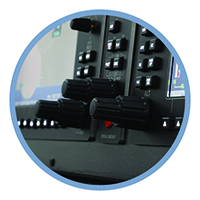 The hardware components of our Enterprise G1000 simulators are aircraft-specific, work just like their real-world counterparts, and are engineered for heavy use by multiple users. Fully functional buttons and knobs build muscle memory and minimize negative transfer of skill. There’s no new interface to learn in the sim (and no new interface to forget in the airplane). The best avionics and hardware can’t make up for unrealistic flight dynamics. Put simply: a simulator should fly just like the airplane it’s simulating. We meticulously develop the flight model for each of our simulated aircraft based on the real aircraft’s performance specifications. It’s an art as well as a science, and our customers appreciate the effort we make to get it right. 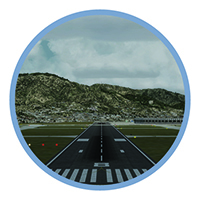 Our visual simulation provides much more than “eye-candy.” It simulates the entire environment a pilot operates in: the airports, the terrain, and the sky. From short flights around a pattern to long-distance navigation between any two airports in the world, it supports every VFR or IFR training scenario you could dream up. The view out the window includes the entire planet—more than 24,900 airports, a modifiable real-time weather system, continuous time of day, seasons, and a variety of lighting effects. Our Instructor/Operator Station (IOS) gives instructors professional-quality tools for monitoring, instruction, and analysis during a training session. Our proprietary software lets you control the simulation’s environment, change the weather, reposition the student’s aircraft, and trigger malfunctions. Features include a touchscreen optimized interface, a moving map display, and a sophisticated flight data recorder that records all aspects of a flight for playback, graphing, and debriefing. Looking for our Consumer Products? Our consumer products division has moved to our Consumer Products Site. If you have purchased any software, the F1Tech 1000, or the G530 Enterprise, please use the consumer website. All previous accounts have moved to the new site. Our FAA Certified Simulators (FAA certification in progress) will allow you to have students log time in their logbook using our simulators. 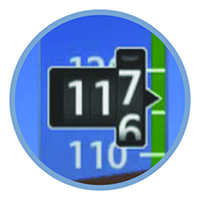 Our simulators not only meet the FAA required minimums, we work to exceed these requirements. Flight1 Tech can help your university training department with simulators and other tools that will allow your training program to be at the cutting edge. Our simulators are designed with the training center in mind. We can provide a wide range of training solutions, including specialized avionic simulations, enhanced custom scenery within the Prepar3D platform, specialized turn-key simulators, and more. Flight1 Tech has worked with aircraft manufacturers to create accurate replications of their aircraft. If you represent a manufacturer and want Flight1 Tech to work with you to create the most accurated training solution possible for your aircraft, please contact us.